Thank You for Joining the ALS Community! Thank you for joining the ALS Community! 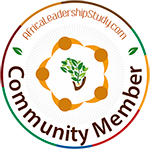 As an appreciation for contributing insights with others, please download the “Community Member” badge and display it on your social media, blog or website with a link back to the ALS website. We look forward to seeing you on the Forum as you contribute answers, ask questions and encourage others!